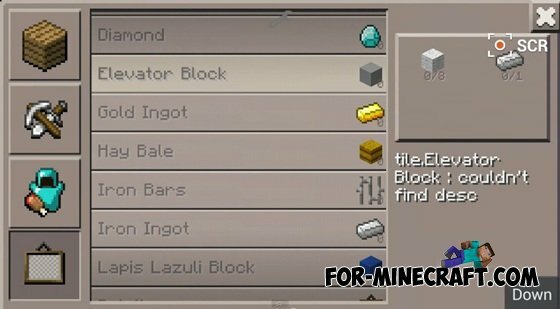 This mod adds a lift block in Minecraft PE. For a startfollow these steps: put 2 or more lift blocks on top of each other with a maximum of 16 blocks between them. Jump to get on the first block of the elevator above the one on which you are standing. 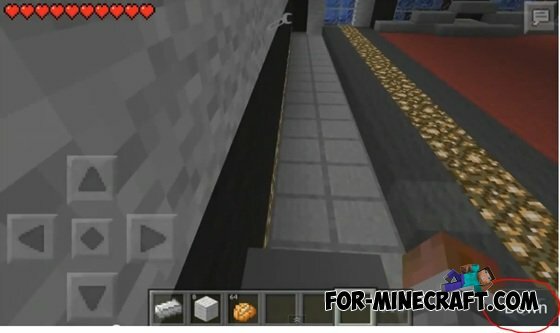 To go down to the first available block under the elevator on which you stand, press the 'down' in the bottom right corner that appears every time you stand on the block lift. By the way, the script works with version 0.8.1 and have already downloaded 14000+. Compatible with version 0.10.0! Swing!